Blank white office stationery set mockup , 3d rendering. Empty corporate branding identity mock ups presentation. 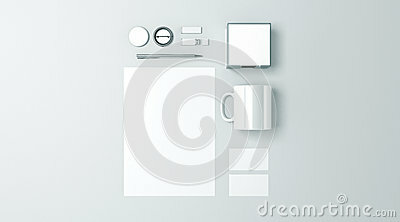 Clear space work supplies template for logo design, top view elements.